Bibliography: Bartsch 19; White and Boon, first state with “curved slipped stroke above Saskia’s right eyebrow”; Hind 144; Münz 21; BB. 36-A. Open Access Image from the Davison Art Center, Wesleyan University (photo: R. Lee). 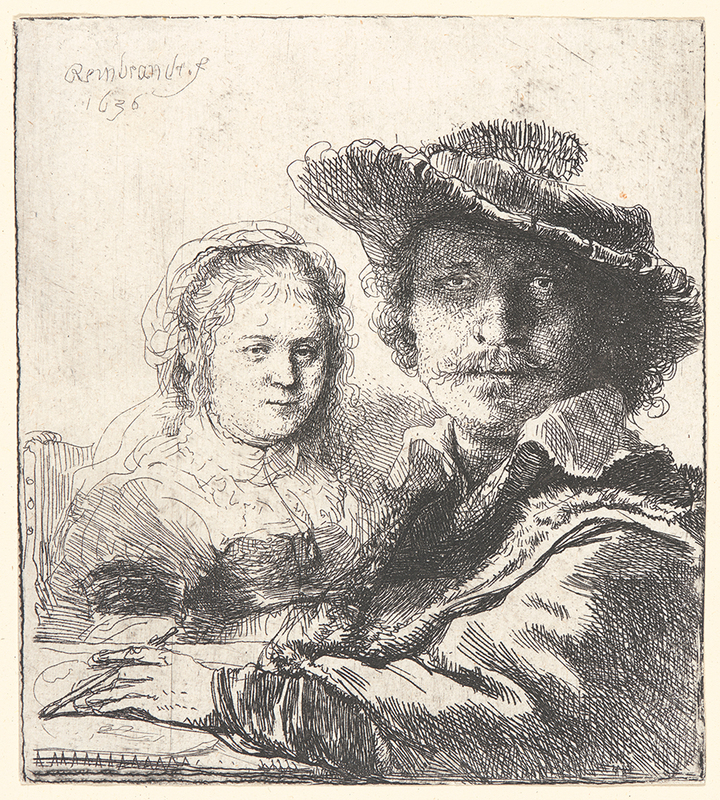 Rembrandt and His Wife Saskia, . Etching on cream laid paper. First state. Plate: 101 x 91 mm (4 x 3.6 in.). DAC accession number 1947.D1.214. Gift of George W. Davison (B.A. Wesleyan 1892), 1947. Open Access Image from the Davison Art Center, Wesleyan University (photo: R. Lee). http://dac-collection.wesleyan.edu/obj11988 is a persistent link to this page with no user-session information.